From Ensign Singer's Cousin Donald Singer, Sr. Per Donald Singer Sr, Colonel (Ret), US Army, a cousin of ENS Gilbert Charles Singer, USNR: Gilbert was lost off the U.S.S. 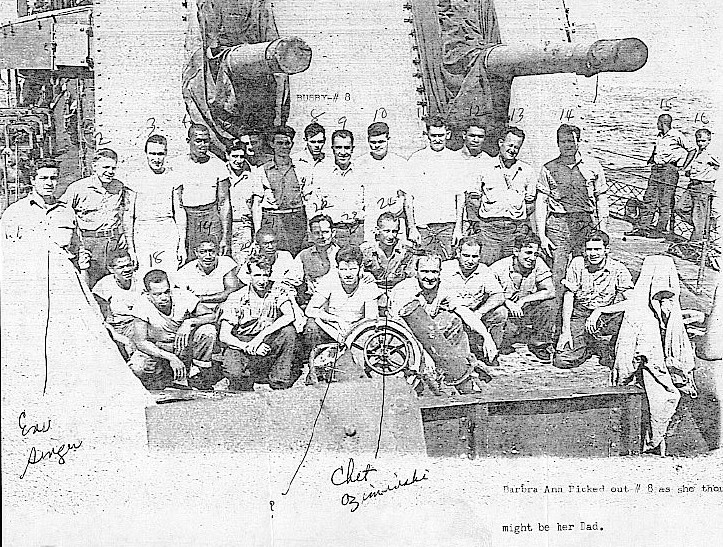 Collett on January 17, 1945 somewhere in the South China Sea during a refueling operation in high seas along with SN John R. Allan and SN Richard Morris Busby. 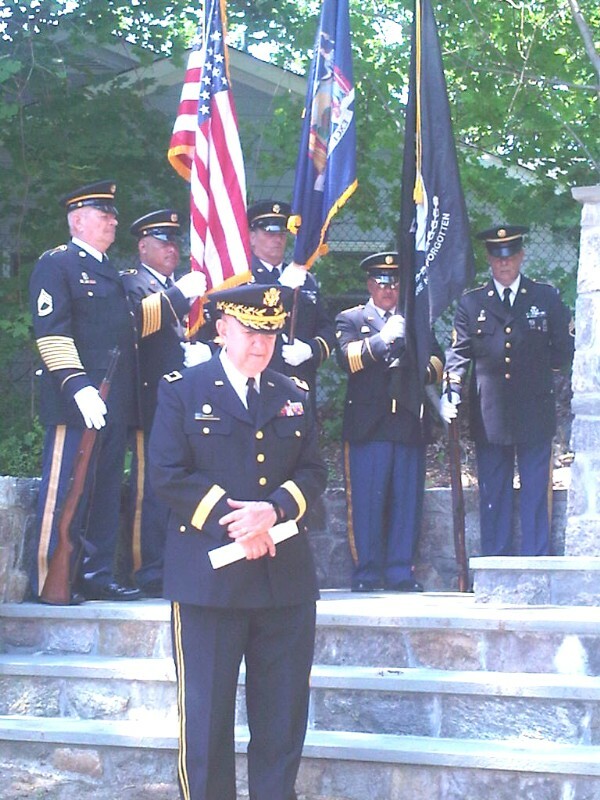 Their bodies were never recovered. 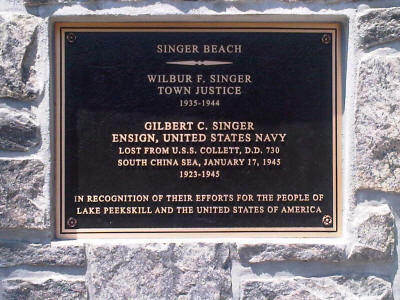 A beach in a small park at Lake Peekskill, Putnam Valley, NY was named “Singer Beach: and dedicated to ENS Singer and his father, Judge Wilbur Singer, on Monday, May 31, 2010 with an bronze plaque authorized by the NY State Senate.